The two Palestinian prisoners Fuad Assi, 30 and Adib Mafarjeh, 28, continued their hunger strike for 30 consecutive days in protest against their administrative detention. 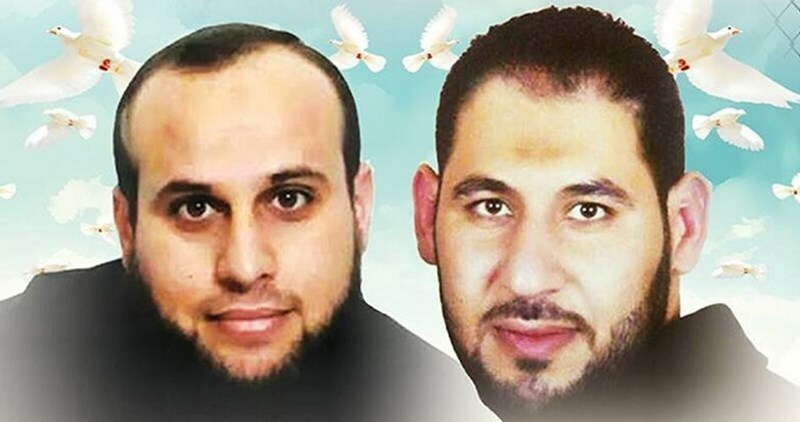 Head of the Palestine Center for Prisoners Studies Osama Shahin told the PIC reporter that the two hunger strikers suffered serious health deterioration and started suffering severe fatigue and frequent fainting. They also became unable to walk, he added. 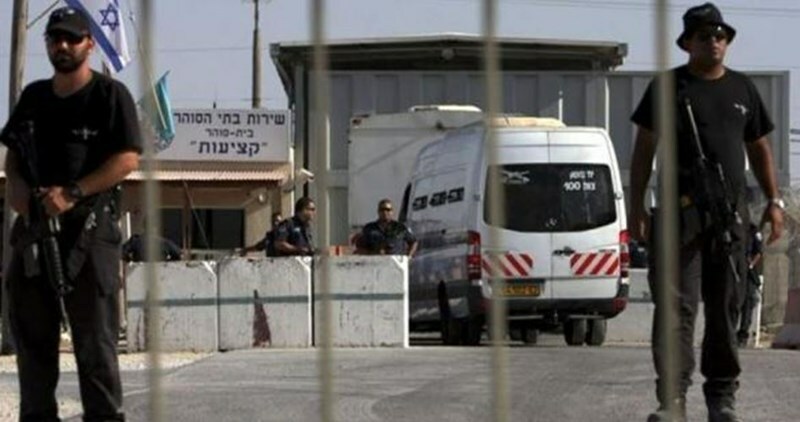 Shahin charged that the Israeli prison service deliberately neglects the treatment of the two prisoners in an attempt to force them to end their strike. Mafarjeh was moved to Elah solitary confinement in Beersheba despite his urgent need for medical treatment, he continued. Shahin concluded by calling for activating prisoners’ issue and supporting Palestinian prisoners’ protest steps in Israeli jails. 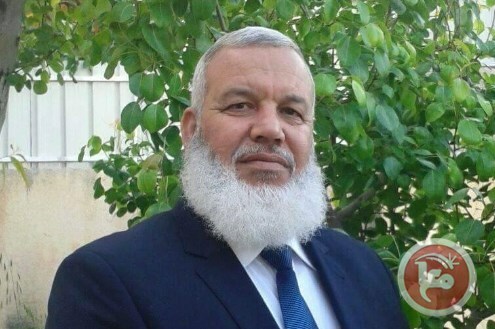 Israeli authorities have renewed the administrative detention of Palestinian lawmaker Hatim Rabah Rashid Qafisha for three more months, the Palestinian Prisoners' Center for Studies (PPCS) said on Monday. PPCS spokeswoman Amina Tawil said Qafisha was scheduled to be released in three days, but the Israeli high court rejected an appeal and decided to extend his administrative detention for another three months. Qafisha, 56, a Hamas-affiliated member of the Palestinian Legislative Council, was detained by Israeli forces on Jan. 24 in Hebron. Qafisha has spent a total of 13 years in Israeli prisons, of which more than 12 years were spent in administrative detention -- internment without trial or charges. According to prisoners’ rights organization Addameer, six Palestinian lawmakers are currently detained by Israel, and 700 Palestinians are being held in administrative custody, a policy international community has repeatedly said is in contravention to international law. Israeli forces detained at least eight Palestinians and confiscated a private car in predawn raids Monday across the occupied West Bank, according to Palestinian and Israeli sources. Locals told Ma’an Israeli forces stormed three villages in the southern occupied West Bank district of Hebron after midnight Sunday and detained three Palestinians from their homes. One raid targeted the village of Surif in Hebron, where Israeli forces detained Jamil Ghneimat after ransacking his home while his family was sleeping. Israeli forces also raided the village of Deir Samit and detained Shadi Riyad al-Huroub, locals said. In the village of al-Shuyukh, Israeli forces ransacked a four-story residential building, searching for 41-year-old Walid Mahmoud al-Hasasna, a father of 12. Family members said Israeli forces inspected four apartments before they left at 4 a.m without being able to locate and detain al-Hasasna. Witnesses also said Israeli forces detained Muhammad Abd al-Rahim al-Halayka and confiscated a private car he owns. The Palestinian Prisoner’s Society identified in a statement on Monday five other detainees from Hebron as Mohammad Abd al-Hamed Tafish, 21, Awni Mustafa Ghneimat, Mumen al-Jabari, and Omar Ibrahim Eskafe, 25. Israeli forces also detained Basel Hassan Marshoud from the Balata refugee camp in the northern occupied West Bank district of Nablus. Human right activist and Jerusalem resident Hassan al-Safdi, 25, was also detained at the Allenby border crossing between the occupied West Bank and Jordan. Fifty-seven detentions were documented over the last three days including 43 detentions from Jerusalem -- most of whom were shortly released later -- and two female minors from Ramallah, according to the Palestinian Prisoner's Society. An Israeli army spokesperson told Ma’an that one Palestinians was detained south of Ramallah, one southwest of Bethlehem, and one in Hebron, during the overnight campaign. Around 7,000 Palestinians are currently held in Israeli prisons, according to prisoners’ rights group Addameer. The majority were detained in predawn detention raids carried out by the Israeli military, including in areas under full Palestinian jurisdiction according to the Oslo Accords. Such raids often lead to clashes between locals and Israeli military forces entering their communities, regularly resulting in injury and sometimes death of Palestinian residents. Israeli forces detained a young Palestinian woman on Monday at a checkpoint near the Ibrahimi Mosque in the Old City of Hebron in the southern occupied West Bank. Locals told Ma'an reporter that Israeli forces stationed outside the Ibrahimi Mosque detained Ayat Nabeel al-Rajabi, who was taken to a nearby Israeli police center. The reasons behind the arrest are still unknown. 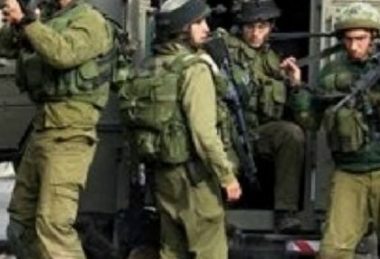 Israeli soldiers invaded, on Monday at dawn, the southern West Bank city of Hebron, and several nearby towns, searched homes and kidnapped four Palestinians, in addition to confiscating a laptop, a mobile phone and two cars. Media sources in Hebron said several army vehicles invaded Sa’ir town, northeast of Hebron, searched a few homes and kidnapped Mohammad Abdul-Hamid Tafish, 21, in addition to confiscating his laptop, mobile phone and his car. 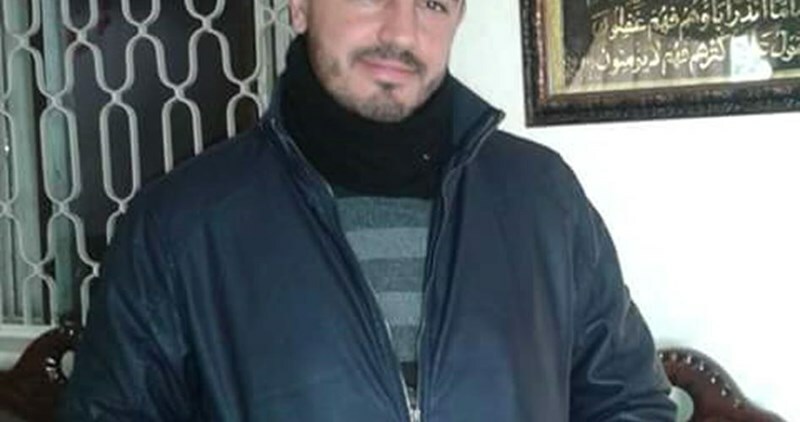 The soldiers also invaded Deir Samet town, southwest of Hebron, and kidnapped a young man, identified as Shadi Riyadh al-Hroub, after searching several homes. Another young Palestinian, identified as Mohammad Abdul-Rahim Halayqa, was kidnapped in the Shiokh town, east of Hebron, after the soldiers confiscated his car. In Surif town, northwest of Hebron, the soldiers invaded a few homes and kidnapped one Palestinian, identified as Awni Mustafa Eghneimat. In related news, the soldiers invaded many neighborhoods in Hebron city, and installed roadblocks at the main roads leading to Sa’ir and Halhoul towns, and Hebron’s northern entrance, before stopping the searching dozens of cars, and questioned many Palestinians while examining their Id cards. The Israeli court in Ofer military camp on Sunday approved the appeal filed by the Israeli military prosecutor against the release of Majd Attwan, a young woman from al-Khader town in Bethlehem. The same court had reaffirmed last Wednesday its previous verdict, which ordered Attwan to pay a penalty of 2,000 shekels and considered her detention for over two weeks enough for her, before it accepted yesterday the appeal filed against her release. According to her father, the court will hold another hearing for Attwan on Monday. Over the past week, Attwan had undergone intensive interrogation by the Shin Bet over photos of Palestinian martyrs she had posted on social media. She was indicted for incitement to violence. 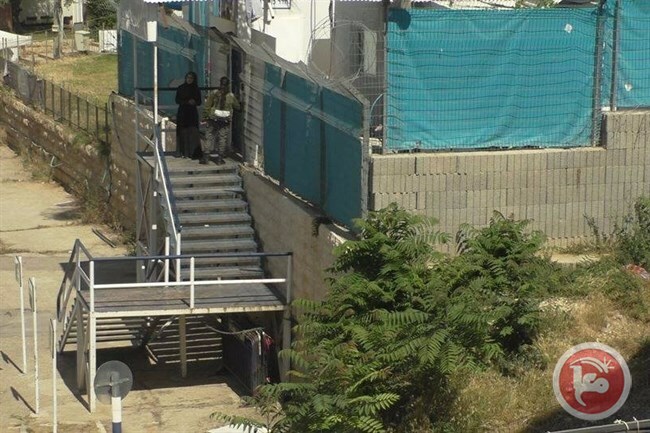 The Israeli military court of Ofer extended the detention order against the Palestinian 15-year-old injured girl Nataly Shoukha from Ramoun town near Ramallah in absentia for five days pending further investigation. The lawyer of Palestinian Prisoner Society, Munther Abu Ahmad, said in a statement on Sunday that the girl’s family got a visitation permit in the Israeli hospital where she is held captive. The lawyer managed to visit her after the court had decided to lift the ban on visitation. 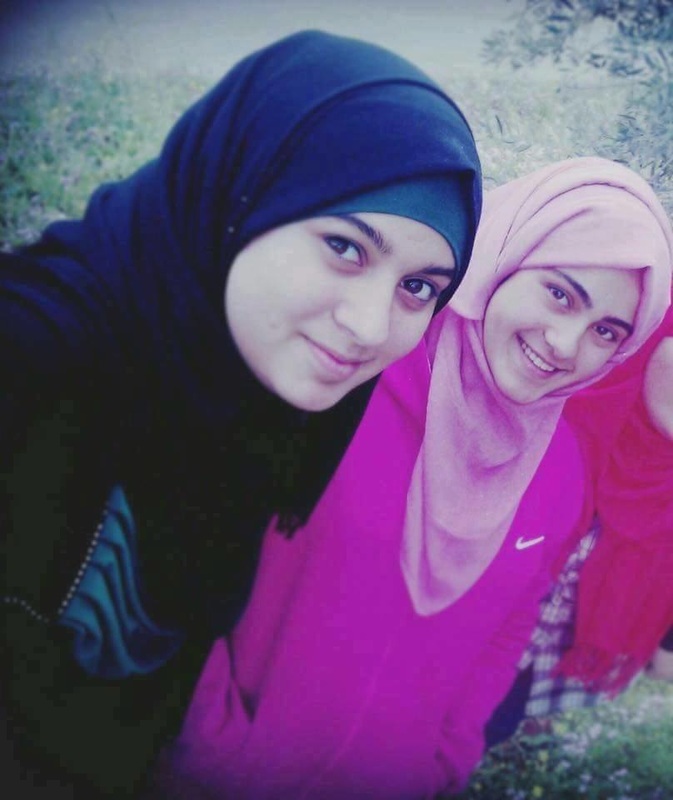 The injured girl Shoukha was shot last Thursday by Israeli soldiers before she was arrested along with another girl called Tasneem al-Khatib near Beit Ur village to the west of Ramallah for alleged stabbing attempt. 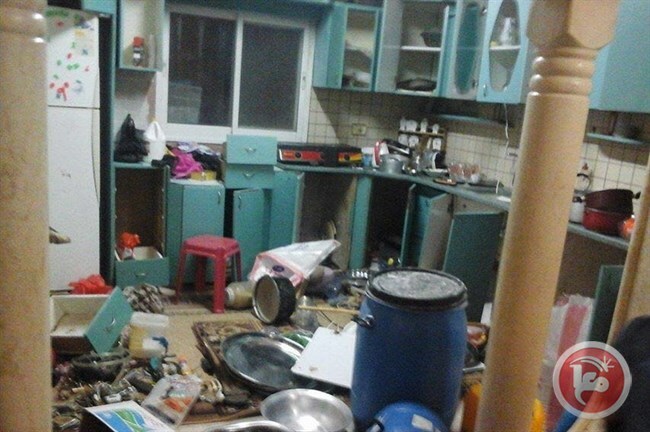 Israeli soldiers invaded, on Sunday, the al-‘Eesawiyya town, in the center of occupied East Jerusalem, searched and ransacked several homes, and kidnapped three children. 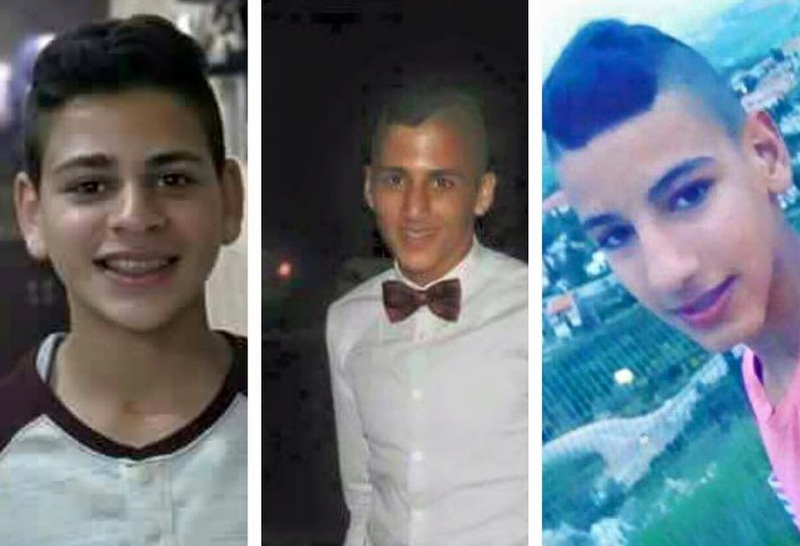 The Wadi Hilweh Information Center in Silwan (Silwanic) said the soldiers kidnapped Majd Marwan Dari, 15, Fadi Rafat al-‘Eesawy, 14, and Shadi Odeh, 17, before moving them to interrogation centers. The army invaded, and violently searched many homes throughout the town, and interrogated many Palestinians. Also on Sunday, several military vehicles invaded Beit Ummar town, north of the southern West Bank city of Hebron, searched homes and kidnapped a child and a former political prisoner. The soldiers also invaded al-‘Azza refugee camp, north of the West Bank city of Bethlehem, injured one Palestinian, and kidnapped three others in the camp, and in Beit Fajjar town, south of Bethlehem. The Israeli occupation forces (IOF) at dawn Sunday kidnapped 30-year-old Sa'ied Hirmas, an ex-detainee from al-Doha town in Bethlehem. Local sources told the Palestinian Information Center (PIC) that Israeli troops stormed al-Doha town at dawn and kidnapped Hirmas after ransacking his home. The Israeli prison authority had released Hirmas about three months ago after he had spent 11 months in jail. The detainee is the brother of martyr Taleb Hirmas, a member of al-Qassam Brigades of Hamas who was killed during al-Aqsa intifada (uprising). At least nine Palestinians were kidnapped and others were injured by the Israeli occupation forces (IOF) at dawn Sunday in a mass-abduction sweep rocking the occupied West Bank and Occupied Jerusalem. The Israeli occupation police claimed responsibility for the abduction of four allegedly wanted Palestinians from the West Bank province of Bethlehem at predawn time on account of their involvement in anti-occupation activism. 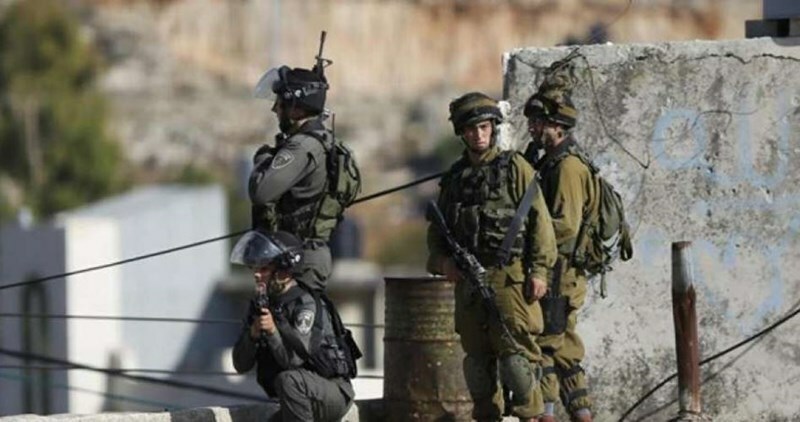 The Quds Press said the occupation army kidnapped two Palestinian youths from al-Khalil’s Beit Ummar town, four from al-Izza refugee camp and Beit Fajjar, in Bethlehem, and three youngsters from al-Issawiya town, in eastern Occupied Jerusalem. A 22-year-old Palestinian youngster sustained wounds during the clashes that flared up shortly after the IOF kidnapped four Palestinians from Bethlehem. The casualty was rushed to a hospital for urgent treatment. The IOF attacked the Palestinian protesters at the Izza refugee camp with randomly-shot spates of live bullets and tear gas canisters. Dozens of Palestinian civilians choked on tear gas in the clashes. The IOF wreaked havoc on civilian homes in al-Issawiya and raked through residential neighborhoods in Tulkarem, Bethlehem, and al-Khalil. An Israeli army patrol rolled into Beit Ummar and kidnapped a 13-year-old Palestinian child, identified as Jalal al-Salibi, from his own family home. 23-year-old Youssef Awad was also kidnapped in the assault. The occupation troops stepped up arbitrary abductions of Palestinian youths and civilians across the occupied West Bank and Occupied Jerusalem in an attempt to snuff out the flames of the anti-occupation Jerusalem Intifada, which started in early October. The Palestinian Prisoner Society (PPS) on Sunday sounded the alarm over the sharp setback rocking the health status of the Palestinian detainee Sami Janazra, 43, after 60 days of ongoing hunger strike in Israeli detention. 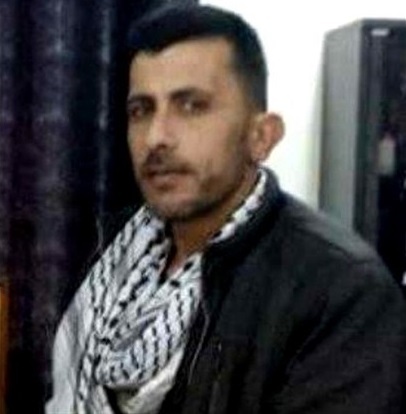 On March 3, 2016, prisoner Sami al-Janazra, 43, started his hunger strike in the Negev jail in protest at his administrative detention, with neither charge nor trial. PPS spoke out against the exhausting inter-prisoner transfers to which Janazra has been subjected, adding that the detainee suffered seizures and fainting spells as well as a head injury after he fell unconscious. PPS lawyers said, following field visits, the detainee has been enduring excruciating pains and going through frequent blackouts and a remarkable weight loss. Efforts have reportedly been underway to move to an earlier date a court hearing scheduled for May 16. Janazra, from the Fawar refugee camp, in al-Khalil, was arrested by the Israeli occupation forces on November 15. He is the father of three kids. 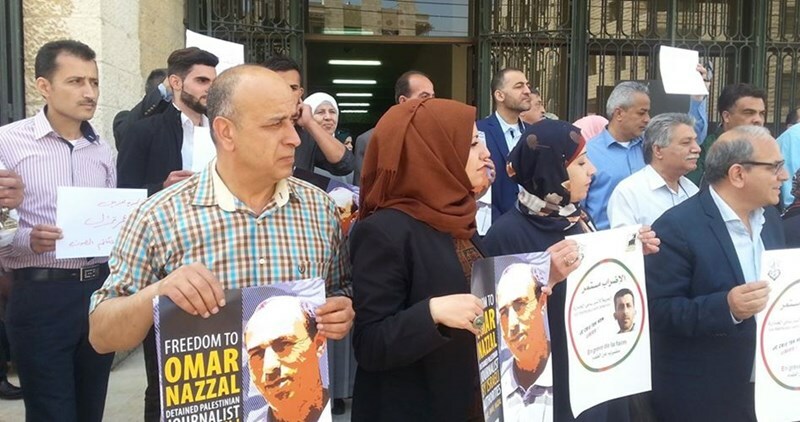 The Palestinian Prisoner Society along with the Syndicate of Journalists in Nablus city organized on Saturday a sit-in in solidarity with the journalist captive Omar Nazzal and the hunger striker detainee Sami Janazra. A score of Palestinian journalists participated in the sit-in, which was held within the event of the 2nd Media Freedom Conference. The participants raised photos of both detainees along with posters calling for releasing them in addition to another 18 journalist prisoners languishing in Israeli jails. Key Palestinian figures delivered speeches in the event including the representative of the journalists’ syndicate in Nablus Jaafar Eshtaiyeh, director general of international relations at the Palestinian Prisoner Society Amer al-Kateb, and the political analyst Hani al-Masri. All of the speakers demanded to expose Israeli aggressive practices against Palestinian pressmen and called for international action for the sake of prisoners support. Israeli Prisons Service (IPS) has been deliberately transferring the Palestinian captive Sami Janazra, 43, who has been on hunger strike for 59 days. The repeated transfer is aimed at pushing Janazra to end his strike, director of the Palestinian Prisoner Society in al-Khalil Amjad al-Najjar said on Saturday. Najjar revealed in a statement that the IPS returned detainee Janazra to Ella isolation again on Saturday after he was transferred to Soroka Hospital on Friday after deterioration of his health condition. Prisoner Janazara has been transferred several times from Negev to Ofer, Ella isolation and Soroka hospital since he started his hunger strike in protest against being held under the illegal administrative detention based on no charge or trial, Najjar said. The hunger striker Janazra is from al-Fuwar refugee camp near al-Khalil and has been arrested since November 15, 2015. He is an ex-detainee who served seven years in Israeli jails.